In part I of this post I demonstrated the merits of the dot plot. 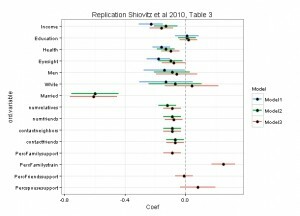 In part II I will show an improved way to visualize a hierarchical regression model. Below shows a fairly standard table of multiple regression output for three models building sequentially on each other. 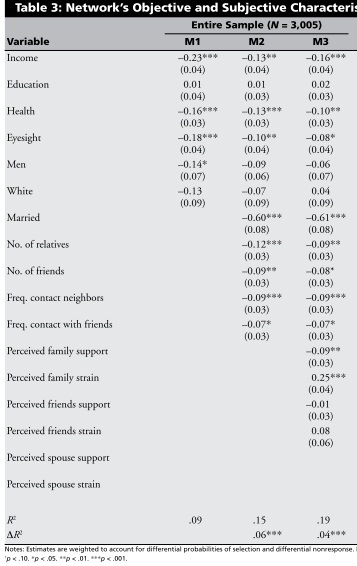 Table 3 from Shiovitz-Ezra, S., & Leitsch, S. A. (2010). 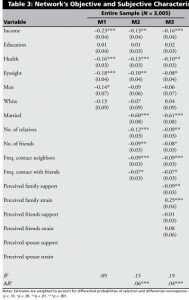 The role of social relationships in predicting loneliness: The national social life, health, and aging project. Social Work Research, 34(3), 157–167. Using R again I build a graph that overlays the three models and displays the coefficients graphically. This is based largely on the R code from David Sparks. I reordered the models and variables to appear in the desired order. 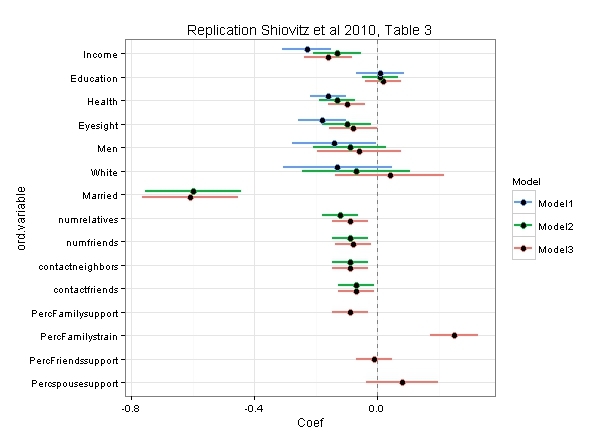 Below is the replication of Shiovitz et al. Published by David Rothwell on August 15, 2013 at 10:50 pm under Uncategorized.